Margaret Olley etching titled – Turkish Pots and Lemons is a limited edition fine art work on paper etching print of 70 only. Margaret Olley Etching titled Turkish Pots and Lemons has a Image size is 59x78cm – Paper size is 79x108cm – 4 separate plates where used with 9 Colours, presently there at $11,000 well up on there release price in 2004. 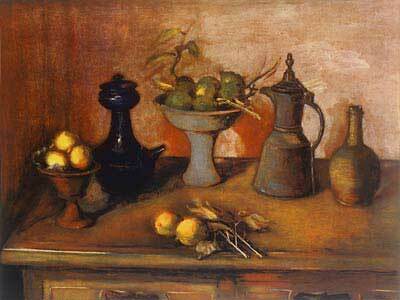 Etching House has 12 months lay buy plan with no charges on Margaret Olley Turkish Pots and Lemons original etching.